The defense looks like its back this year and working to impress. Despite falling 0-1 in Big 12 Conference play, the Mountaineers have some reasons to feel good about their defense through the first two weeks of the season. The highly prolific Mountaineer offense could certainly score in the 2012 season, but a huge part of the failures last season can be blamed on the defense. West Virginia gave up 38 points per game last season, which ranked them dead last in the Big 12. While Geno Smith’s seven-touchdown performance against Baylor was certainly fun to watch, casual fans seem to forget the Mountaineer defense surrendered 63 points. In November 2012’s loss to Oklahoma, the Sooners won a thrilling 50-49 game on 554 yards of total offense. Saturday, the Mountaineer defense gave up just 16 points and 435 yards. While a loss is still a loss, the Mountaineer defense clearly made strides this off-season. 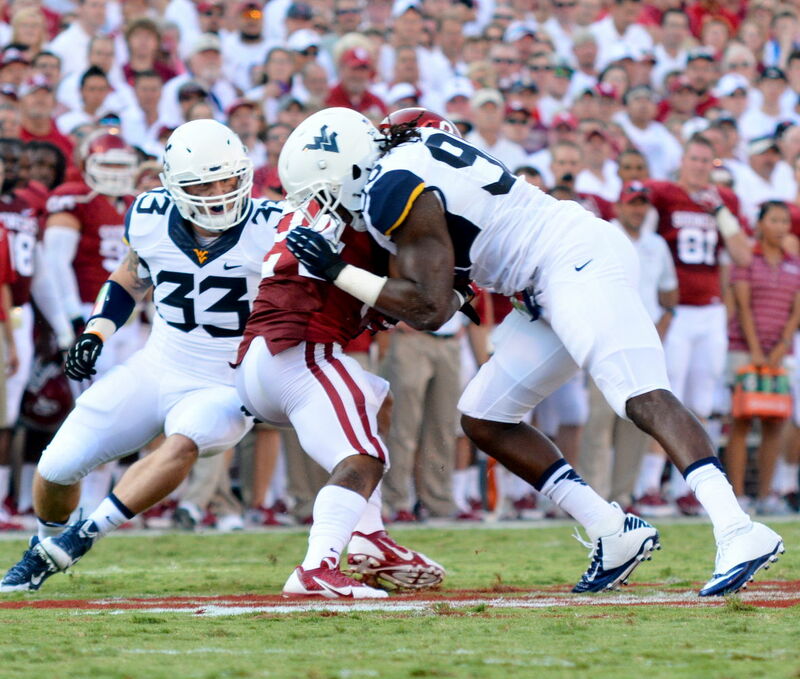 The Mountaineer defense also forced four Oklahoma turnovers.